Animazing Gallery began in 1984 as a gallery specializing in conceptual animation art. Over time, the collection expanded to include works by a wide range of renowned Illustrators and pop culture artists. The gallery opened its doors in Las Vegas in 2017 with an expanded showroom and an even more expanded repertoire of classic illustrators and contemporary artists. Animazing Gallery has become an industry stronghold for illustration art and contemporary art inspired by the masters of illustration. Upon acquiring a collection of comic strips by Charles M. Schulz in 1995, the gallery began to focus on Great American Illustrators. In the gallery's search to find art exhibiting "the perfect line", the owner soon discovered an important collection of drawings and watercolors by Theodor Seuss Geisel, better known as Dr. Seuss. The artwork was exhibited in numerous museum exhibitions. 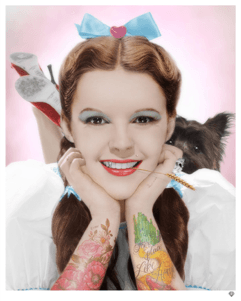 Wizard of Oz, 80th Anniversary Celebration!